Any individual who uses their bike for pleasure or for commuting in Daytona Beach should be aware of pertinent safety tips that can help to prevent accidents. Unfortunately, individuals on bicycles are far more likely to be critically injured in the event of an accident because of the relative lack of safety they experience simply by riding on a bicycle. 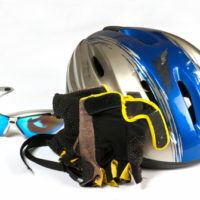 For example, a driver inside a vehicle has safety options like a seat belt and but an individual on a bicycle will at best have knee pads and a bike helmet. Being thrown off of a bicycle can be a catastrophic experience with severe injuries, particularly if other drivers in the vicinity do not have the time to adapt to the accident quickly enough. A bicyclist thrown from his or her bike may land in oncoming traffic or be struck by multiple cars and sustain devastating injuries. The injuries from a bicycle accident may impact you for many years to come. Some of the more severe injuries can last for years and require surgery or other painful treatments. Getting through each day or holding down a job may be challenging if you have suffered critical injuries. Stop or be hit. If you are on a pathway, always stop at intersections and obey the rules of the road. Go with the flow, using the right side of the road much like cars do. Always take the path when you can rather than riding on the street which may be less safe. Use lights for all night travel. Be courteous to other cyclists, pedestrians and motorcyclists. Although all kinds of injuries can impact a person who gets hurt in a bicycle accident, some injuries are more common than others. If you get hurt at the scene of a bicycle accident, you need to consult with a medical professional anyways just to be sure. Some injuries, especially a TBI, may not be immediately noticed at the scene of the accident. According to Florida’s Integrated Report Exchange Systems, there are hundreds of bike crashes every single year in Florida with 100 fatalities linked to those accidents. Being aware of your surroundings can be extremely beneficial for preventing bicycle accidents. Unfortunately, someone who has been injured in a bicycle accident may have catastrophic injuries that change their life forever. This is why many victims in a cycling accident will need to consult with a personal injury attorney. With severe injuries, a cyclist may never be able to fully return to his or her job and may find day to day life extremely difficult and very painful. This is why Florida’s personal injury law allows those with severe injuries to consider filing a claim to recover compensation. This may be the only way for an injured cyclist to get the help necessary to treat his or her medical conditions after the accident. In a bicycle accident, it is important to demonstrate how the victim’s injuries are tied to the actions or non-actions of the driver. This requires the insight of a talented Florida bicycle accident attorney. Issues of liability and injury severity are often paramount in cases like this, making it all the more important to identify the right lawyer as soon as possible after the crash occurs. Get advice from someone you can trust after a Florida bicycle accident. Do not hesitate to reach out to an experienced attorney immediately if you have recently been struck by someone else on any of the roads in Florida. Working directly with a lawyer after the accident may be the only way to protect your rights and ensure that you are fighting for maximum compensation in court.